Mullah Abdul Aziz accuses the government of “corrupting the country” and inviting “the wrath of Allah”. He says he has 5,000 fighters ready to set up an Islamic state. In 2007, the Red Mosque was the scene of violent clashes between the military and extremists. Analysis and Christians are particularly concerned about the situation. For the latter, tomorrow will be a ‘black day’. Islamabad (AsiaNews) – The imam of Islamabad’s famous Red Mosque (Lal Masjid) has accused the government of “corrupting the country”. He has called on the “soldiers of Islam” to fight “to create an Islamic nation” where “Sharia laws can be enforced”. Mullah Abdul Aziz’s threats are raising concerns in a country where minorities are already victimised and the central government is hostage to fundamentalist fringes. 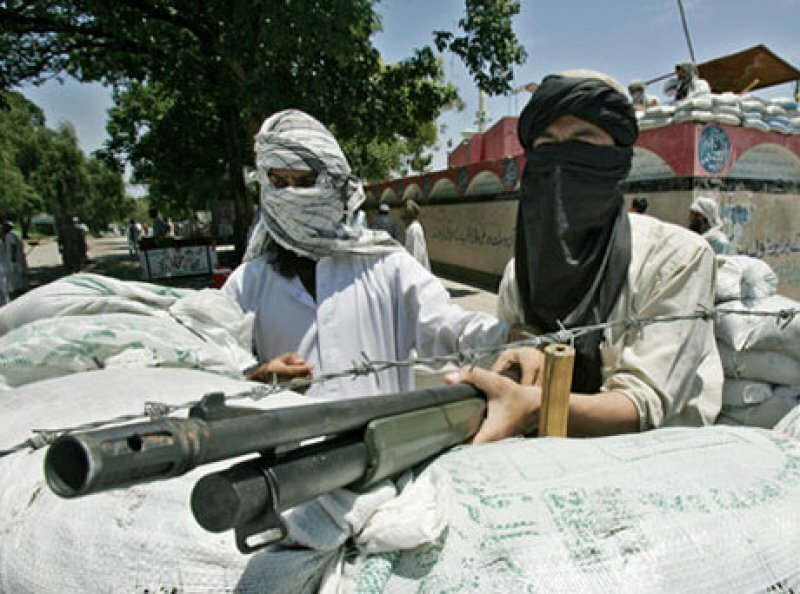 In July 2007, the Lal Masjid was the scene of a gun battle between extremist militants and Pakistani soldiers that caused more than a hundred dead. Meanwhile, the Christian community is preparing for Minorities Day, tomorrow, which was established by the late Shahbaz Bhatti, a Catholic government minister murdered on 2 March. “It`s time for us, the soldiers of Islam, to take a stand against this government and reclaim the Islamic Pakistan," he said. For that purpose, “I already have over 5,000 students” and “we will use every means possible to make Pakistan an Islamic state” in which Sharia is enforced. Back in July 2007, Islamabad’s Red Mosque saw violent clashes between extremists and government soldiers who moved in to put down an uprising (see “Operation against ‘Red Mosque’ ends, 83 ‘officially’ dead,” in AsiaNews, 12 July 2007). Abdul Aziz and his brother Abdul Rashid Ghazi led the rebellion, which they saw as a spark of a wider revolt that would engulf the country and lead to the creation of an Islamic state. The Pakistani military intervened instead on orders of then President Musharraf. Abdul Rashid and another 154 people were killed. Mullah Abdul Aziz was himself arrested and later (2009) released on bail. The mosque had become a haven for extremists and the centre for a movement that wanted to ‘talebanise’ Pakistan (see “Lal Masjid: the mosque that wants to talebanise the country (overview),” in AsiaNews 4 July 2007). The imam’s latest threats have raised concerns among local political experts and religious minority leaders. The Red Mosque is located in the heart of the federal capital, and remains fertile grounds for extremism. In the meantime, Pakistani Christians are set to celebrate Minorities Day tomorrow. On this occasion, they will call for the upholding the right of religious freedom and will demand equal rights and protest against violence, forced conversions and targeted murders. Nayala J. Dayal, president of the Christian Progressive Movement, said that education and economic development are the best insurance policy for minorities in Pakistani society. However, for her 11 August will be a ‘black day’ rather than a day to celebrate minorities as promoted by the government and will be a time for protests against the ongoing anti-Christian violence.